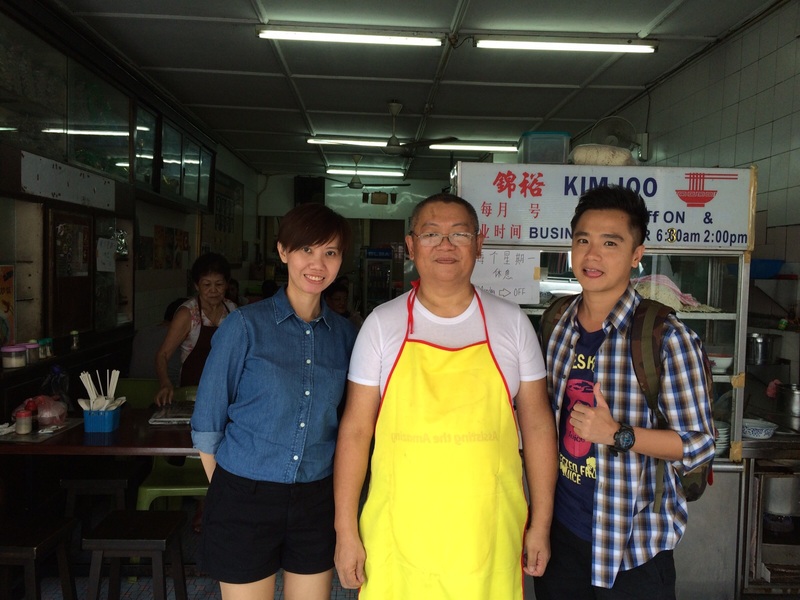 Hi all, I doubt how many of you have watched the Foodie Blogger 为食客 on 11th October 2015? Yes, that's me, collaborated with NTV7 to introduce Kuching foods. The shooting took place on 10th May 2015. I hid the news from everyone, including my parents. Even myself didn't watch it. Feel extremely awkward to watch myself on TV. I was hoping none of my friends and family watched it, and let the case closed. I want to keep it low profile as I didn't want my friends and parents to find out I have a blog. Well, my wish didn't granted. The episode was reran on 17th October. My parents watched it. Then some of my friends found out too. "I saw you on TV, is that you?". Felt so embarrassed. Even having lunch at a coffee shop, the taukunio came to ask me the same thing. Quite amusing. Since then I have a little bit of 'fame' these few days because of the show. Middle of March this year, I was invited by Victor, the Assistant Producer of Foodie Blogger to work for their Kuching food episode. I had the hesitation at first because I am not a foodie like some of them who know the history background, the ingredients, the making, etc. I just blog for the sake of sharing. I hope my blog can attract more tourists to come to Kuching. Nevertheless I submitted the list for them to choose. Since the shooting scheduled in May, I thought I still got time to consider about it. I have thought of two suitable candidates to replace me. However, both of them don't have a food blog. So I carried it out myself. 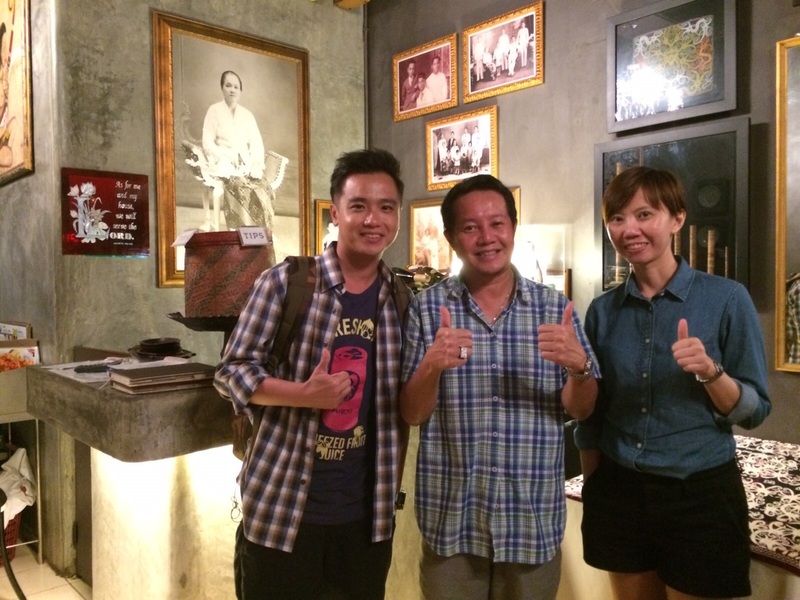 From the list submitted, they chose Kim Joo, Song Kheng Hai, and The Dyak. These are the safe list because they have been existed for long time. I don't have to worry they will cease business one day and whatnot. At Kim Joo, I can introduce their zheng and tomato kueh tiaw. 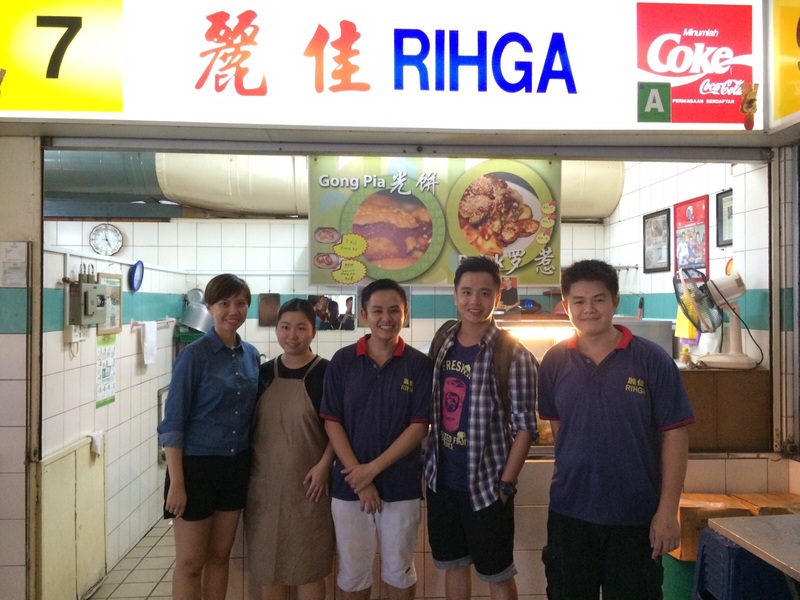 At Song Kheng Hai, I can recommend the coconut sugarcane, belacan beehoon and gong pia. The Dyak, is the symbolic Dayak cuisine which tourists should not miss it out. During the shooting, all the owners were very helpful. 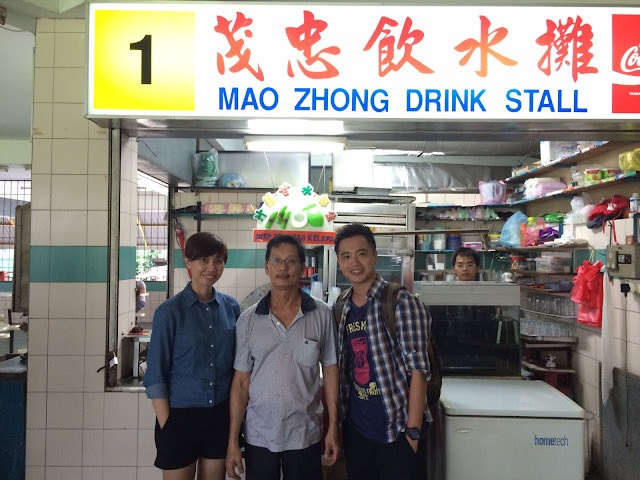 The sugarcane owner even continuously served us assorted of drinks. 3 out of 4 I never tried before. I wish I can help them more. Unfortunately time was limited. We could only select two types of drinks. The crew had to shoot the dish from every angle, picking up the food with the spoon/chopsticks. This took several minutes. Though it looks simple and easy but it is the hardwork behind the screen. When the dish shooting finished, the food had turned cold. The owners replaced either new bowl or reheat the food for us. I am very grateful for their help. Though I made a few mistakes. I forgot to introduce the story of some items at The Dyak. The bowl they used has the story behind. During the barter economy, the China merchants used the bowls to trade with them for jungle products. This the example of the bowl the Dyak used. The handsome host, Ernest 张顺源. First stop at Kim Joo 锦裕, with the owner. Second stop at Song Kheng Hai, with the owner of Mao Zhong Drink Stall 茂忠饮水摊. With the owner, Padungan Belachan Bee Hoon. Last stop at The Dyak. 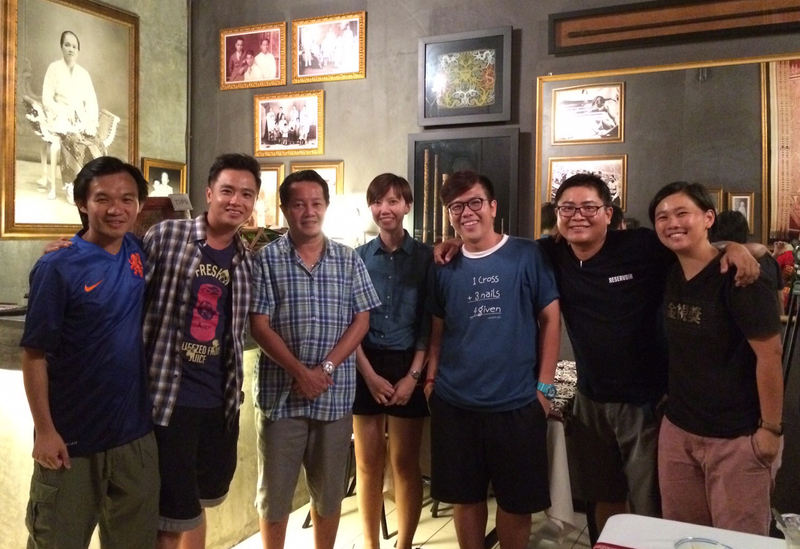 The photo with the NTV7 crew. If you missed the episode, you can watch it HERE. Just register and it is free to watch. Or you can view the travel article posted by Ernest here: http://travel.cari.com.my/portal.php?mod=view&aid=67703.